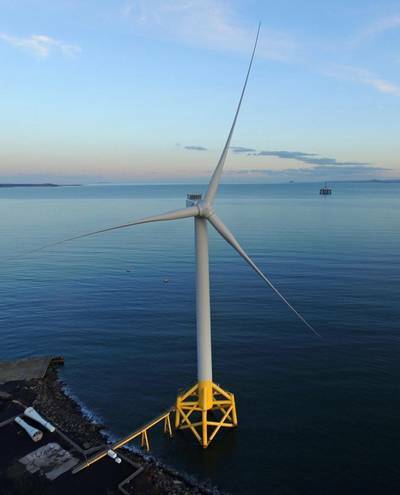 CWind, part of the Global Marine Group (GMG), has signed a Collaboration Agreement with the Offshore Renewable Energy (ORE) Catapult, the UK’s offshore renewable energy innovation center. According to a press release from CWind, the provider of topside, splash zone and subsea engineering services to the offshore renewables and utilities market, the agreement demonstrates CWind’s long-term commitment to develop solutions to overcome the challenges faced by the UK offshore renewables sector, using innovation and technology to drive change. Together, the two companies will focus on delivering applied research projects and accelerating technology development, aimed at improving health and safety, the operational performance of offshore renewable assets and reducing risk and cost. CWind is also joining the Offshore Wind Innovation Hub's (OWIH) technical advisory group. The OWIH, a joint initiative by ORE Catapult and the Knowledge Transfer Network, a provider of UK business support, is the UK’s primary coordinator for innovation, focusing on offshore wind energy cost reduction and maximising UK economic impact. CWind will play a key role in shaping the initiative’s O&M and Electrical Infrastructure Technology Roadmaps, identifying the innovation needs of the sector. “With CWind’s strong and proven background in engineering, I am confident that together we can deliver new research, technology and development projects that will support evolving offshore wind capabilities and generate significant economic benefit for the UK,” said Chris Hill, ORE Catapult’s Operational Performance Director.